You're just steps away from using Yahoo Mail, Yahoo Finance, and more when you sign up for a Yahoo account. Create a new account or use an existing email address from any email provider; you'll just need to provide a password, date of birth, and a mobile number. Enter your info in the required fields. Click Continue and follow the onscreen prompts to verify your mobile phone number. Don't want a new Yahoo email address? Click I want to use my current email address at sign-up. Can I reuse my deactivated Yahoo ID? 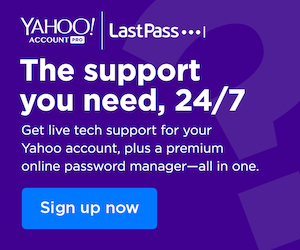 Can I change my Yahoo ID and email address?